Special thanks to D.J. Kirkbride! Thanks to writer D.J. Kirkbride (pictured above, with customer Rob on the right!) 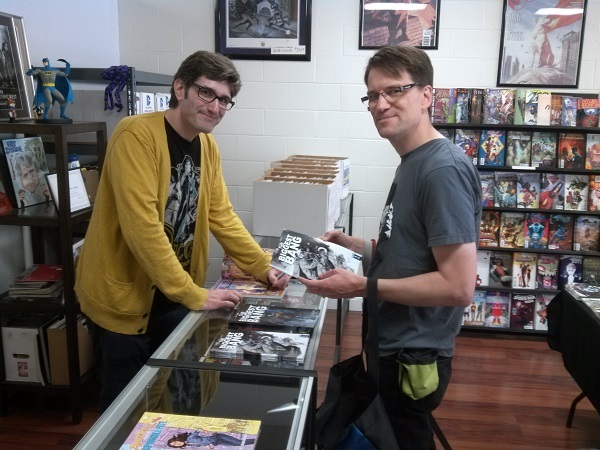 for coming out to Sterling Silver Comics and signing copies of his new comic, The Biggest Bang #1, as well as copies of his Amelia Cole books! You can keep up with his future endeavors at his official site! If you weren’t able to make it our for the signing, we still have signed copies of The Biggest Bang #1 available for sale!